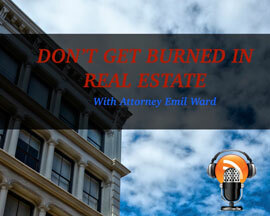 Ward & Associates Attorneys at Law - Boston Real Estate Attorney. Eviction Law. Zoning and Variances. Housing Discrimination. Ward & Associates is a Boston law firm, concentrating in real estate law. 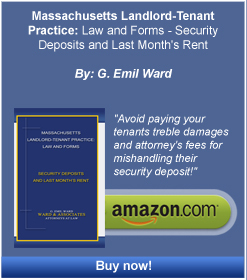 Mr. Ward’s second book in the series: Massachusetts Landlord-Tenant Practice: Law and Forms – Security Deposits and Last Month’s Rent is a comprehensive, very detailed 40-page book which focuses on solving the security deposit issues of owners and managers of property in Massachusetts. See the banner to the right to learn more about this invaluable book and to order it now. The firm concentrates in real estate law, residential and commercial landlord and tenant litigation, commercial lease disputes, property use disputes, housing discrimination, condominium law, accident claims and other areas listed above under the Areas of Practice pull down menu. Security deposit class action defense has recently become an area of expertise. Mr. Ward was recently accepted to the Real Estate Bar Association’s Panel of Dispute Resolution Mediators on which he is proud to serve. We are dedicated to helping clients first avoid legal troubles with proper legal planning and then we are dedicated to helping our clients successfully overcome legal problems which prove unavoidable. 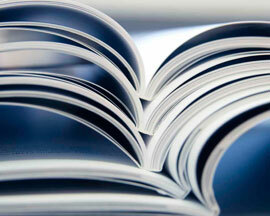 We review the facts and pertinent law. Then we advise the client as to our opinion of the most cost-effective path to pursue to resolve the client’s problems. 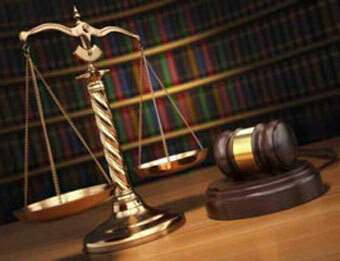 Sometimes this involves non-litigation resolution even if the client has been sued, such as mediation or arbitration. However, many times litigation is unavoidable. If so, we pursue the litigation imaginatively and relentlessly until we resolve the client’s problems, keeping in mind strategies which may end litigation early and cost-effectively. G. Emil Ward, has practiced law for over thirty-seven years in Massachusetts. Mr. Ward is licensed in the state and federal courts of Massachusetts. G. Emil Ward is not just the head of litigation, but he is also an author, consultant, expert witness, and lecturer in law as well.